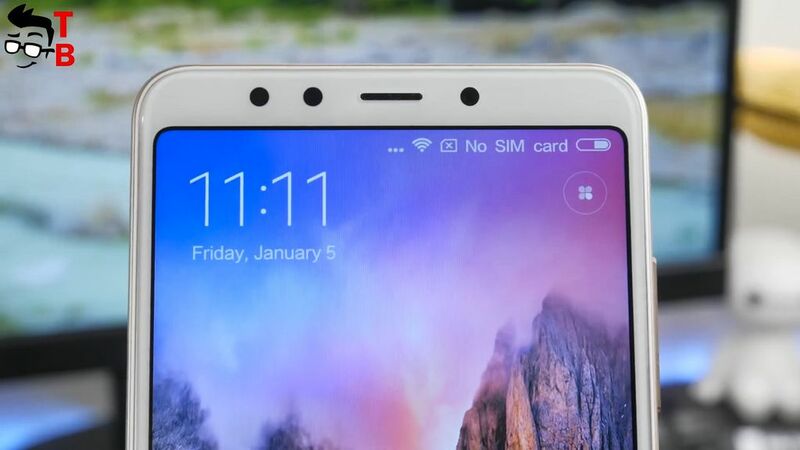 Xiaomi Redmi 5 REVIEW: Who Needs This Smartphone in 2018? Finally I received Redmi 5 and Redmi 5 Plus for detailed review. These are one of the most interesting budget phones for the end of 2017. We already made some comparison videos, for example, Redmi 5 Plus and Honor 7X. 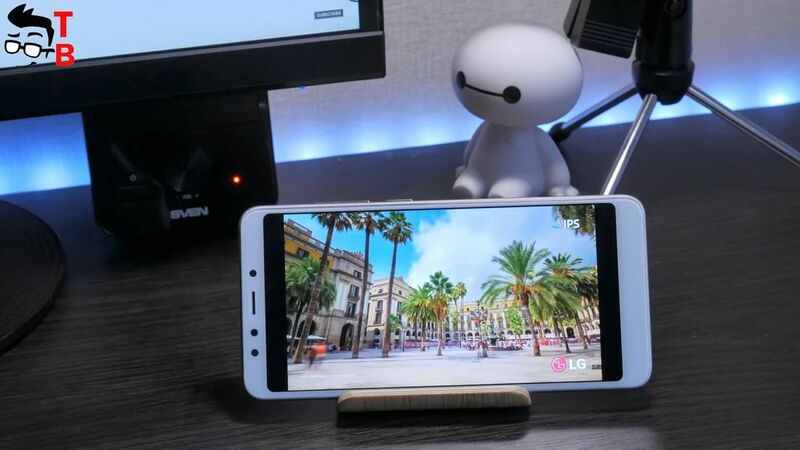 We are waiting for budget full screen smartphone from Xiaomi for a long time. 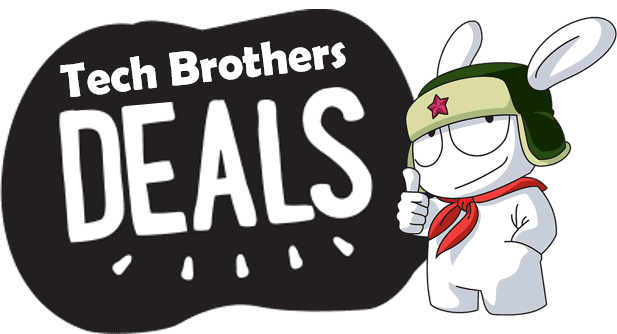 Last month the Chinese manufacturer released Redmi 5 and Redmi 5 Plus. They have different display size, hardware and some other differences. Redmi 5 comes with 5.7 inch HD display, Snapdragon 450 chipset, 2 or 3 GB of RAM and 12MP rear camera. In this video we will talk about all this in details. 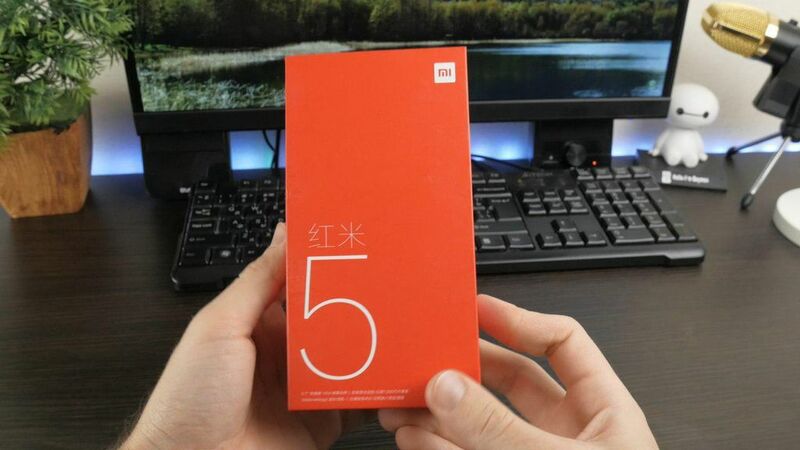 Let’s start with unboxing of Redmi 5. Later I will make unboxing of Xiaomi Redmi 5 Plus. The smartphone comes in a red box with a film. 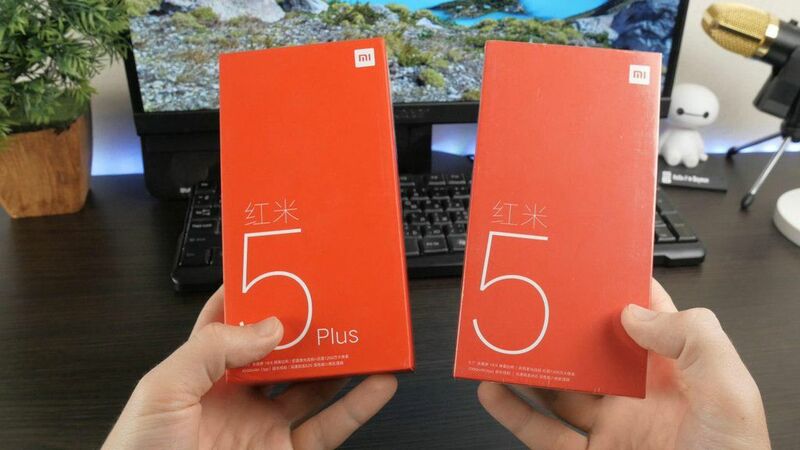 I have a Chinese version of smartphone, so the box and user interface will be in Chinese. On the front panel of the box you can see big 5. The back panel provides some information about smartphone, such as display, chipset, camera, and others. Let’s open the box and look what inside. Here we can see white envelope with user manual and other documentation. Also there is transparent silicone case. Of course, you can find smartphone inside the box. A little bit later we review its design. Also there is microUSB cable, not TYPE-C, and power adapter. So, Redmi 5 has good package. I really like when manufacturers don’t forget about silicone cases, so you don’t need to buy them for yourself. 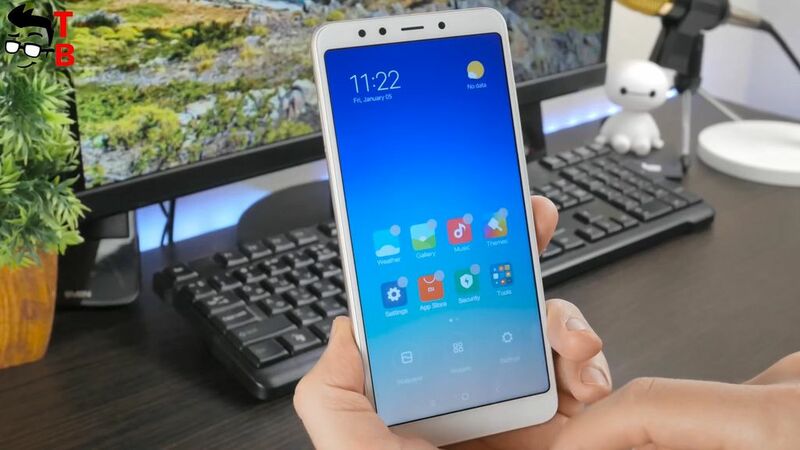 Redmi 5 is a younger model among new full screen smartphones. It has smaller size, compared to Redmi 5 Plus. 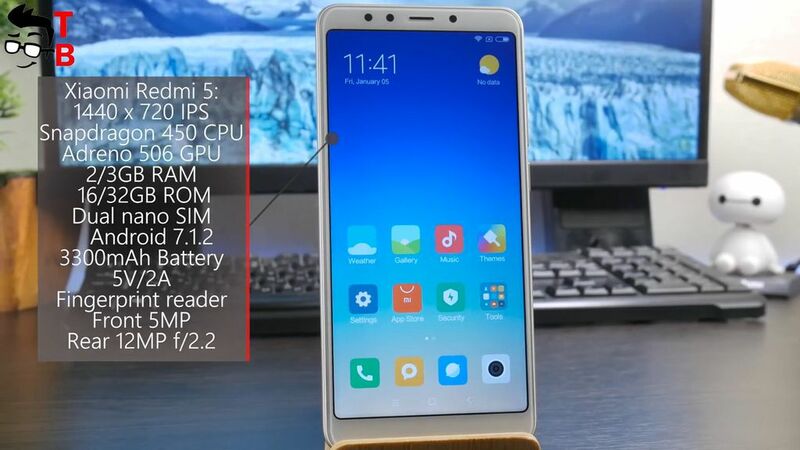 First, I want to mention that Redmi 5 looks very similar to Redmi Note 4X, except the front panel. 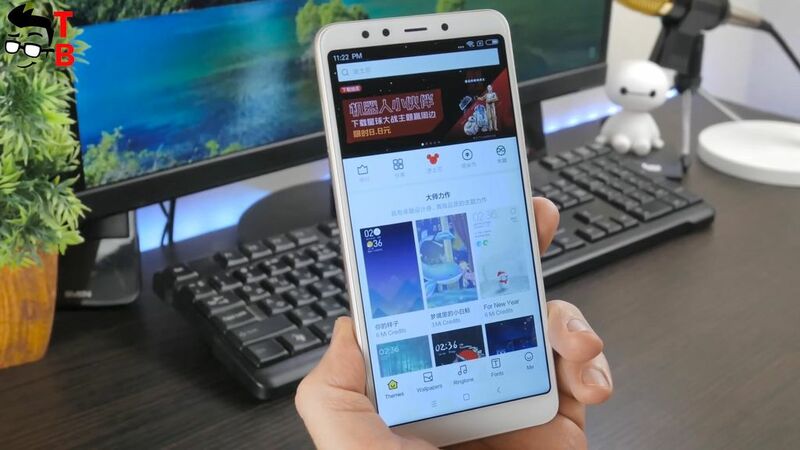 Of course, full screen design is one of the main features of new smartphone. So, Redmi 5 comes with 18 to 9 aspect ratio, so its display is longer, than previous generation. If the top and bottom bezels are really thinner, then right and left bezels could be smaller. 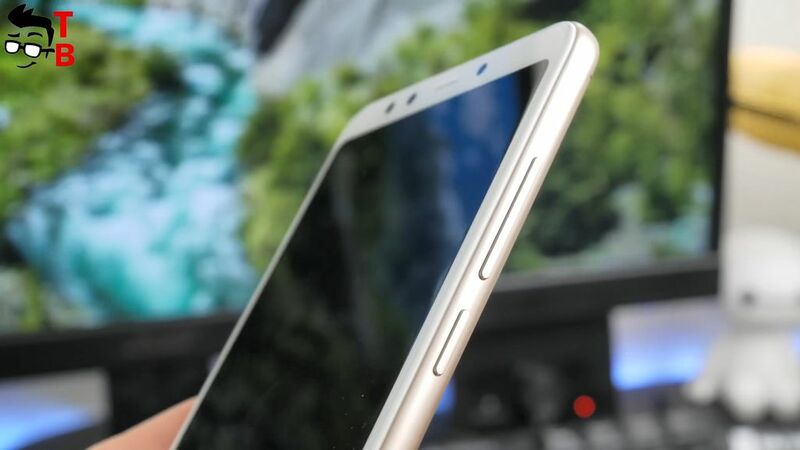 I cannot say that it is bezel-less smartphone, because it has really big bezels on sides. There is no Home button and other physical keys under the display. 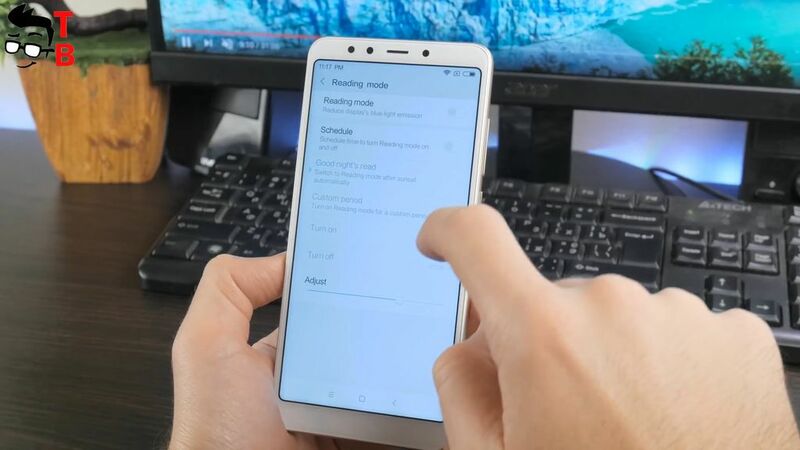 New smartphone uses on-screen keys. 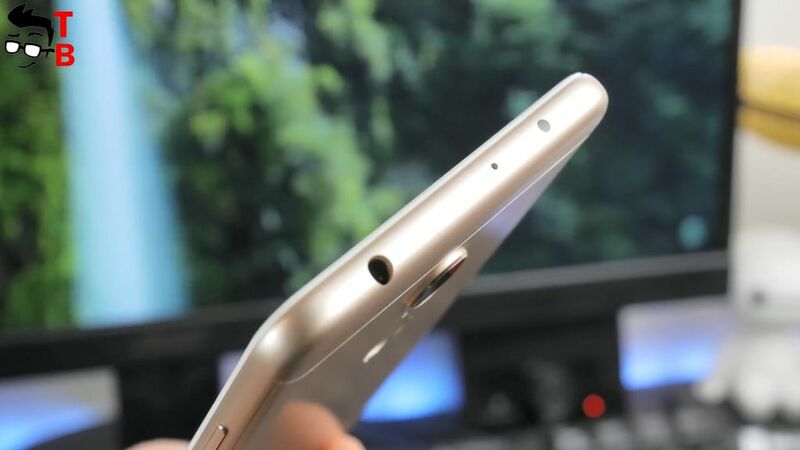 On the top you can find front camera, light and proximity sensor, and earpiece. As I already said, the back panel doesn’t change a lot from previous smartphones. 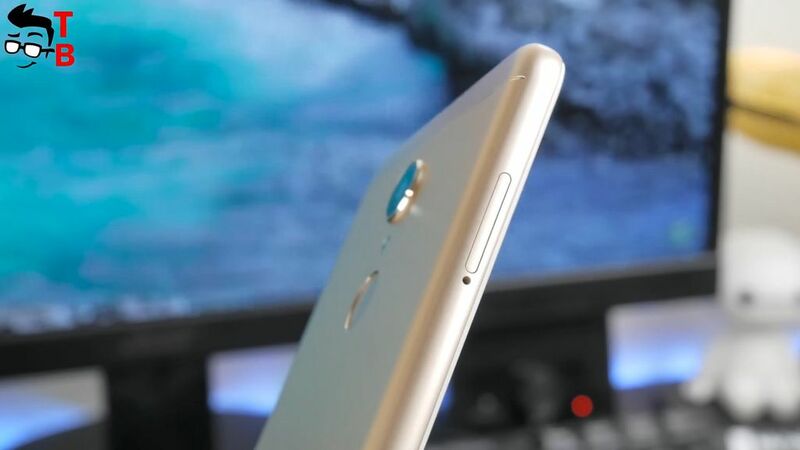 Here we can see single rear camera, flashlight and fingerprint reader under it. 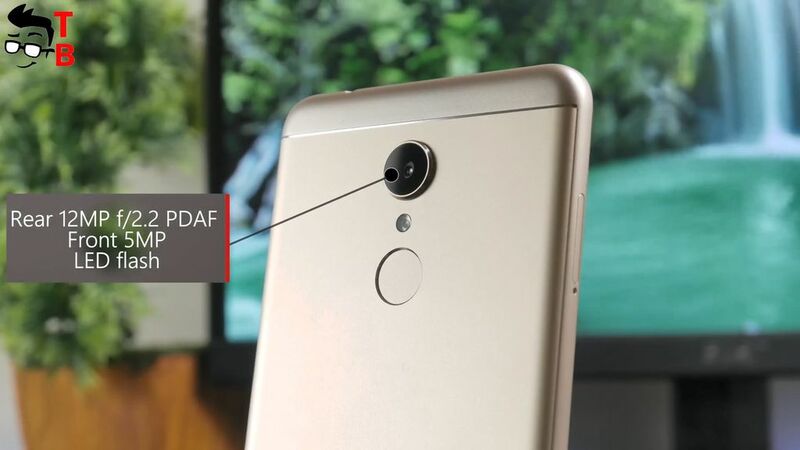 Redmi 5 doesn’t have face recognition function, but fingerprint reader works very fast. Unlocking takes milliseconds, and accuracy is 100%. The back side is made of metal with plastic antenna inserts. At the bottom there is speaker, microphone, and microUSB port. 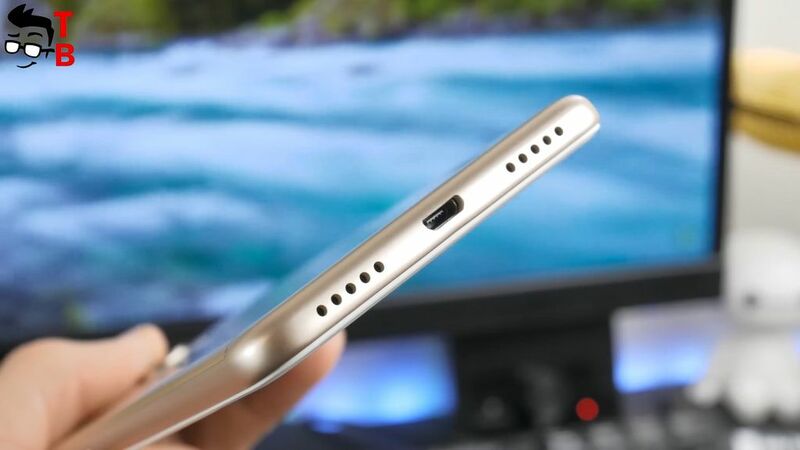 I am really disappointed that smartphone doesn’t have USB Type-C. This is the first disadvantage of Redmi 5. Don’t worry, 3.5 mm audio jack doesn’t go anywhere. You can find it on the top. Also, there is IR Blaster and noise cancellation mic. As usual, the right side has volume rocker and power button. The slot for SIM cards and MicroSD memory card is located on the left side. This is hybrid dual SIM slot. Redmi 5 comes with 5.7 inch display. It has HD resolution, 720 x 1440 pixels and 18 to 9 aspect ratio. 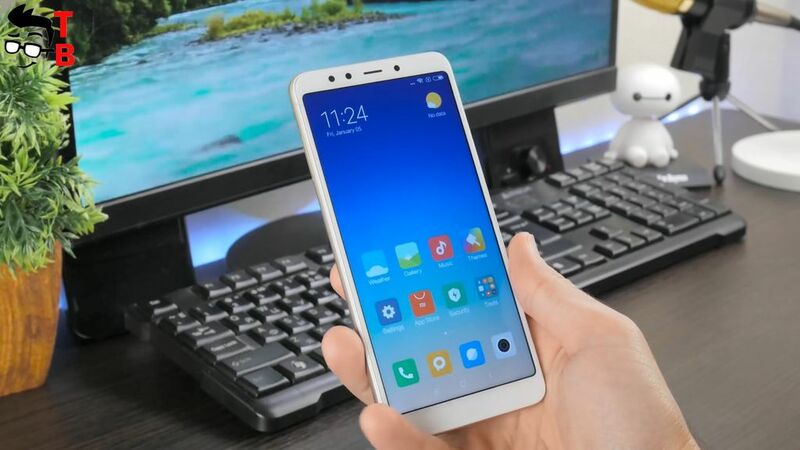 Bezel-less displays have been the main trend on smartphone market in 2017, and Xiaomi released budget phone with long display. 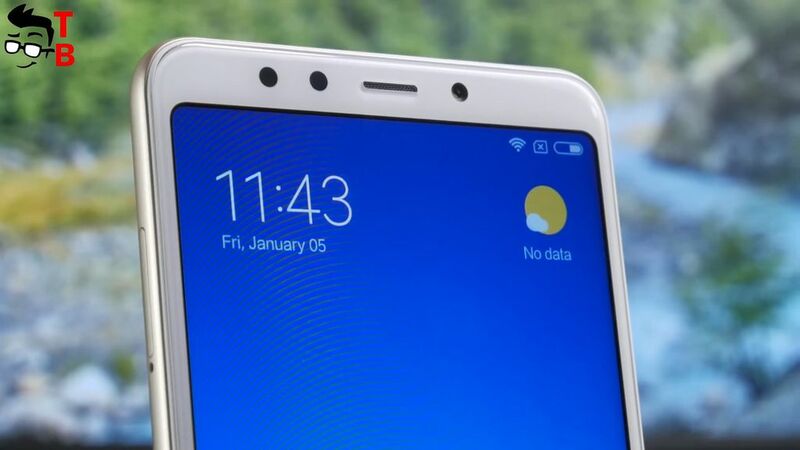 Of course, it is hard to say bezel-less, because Redmi 5 has bezels on sides, but top and bottom bezels are really smaller. The display looks beautiful and premium. 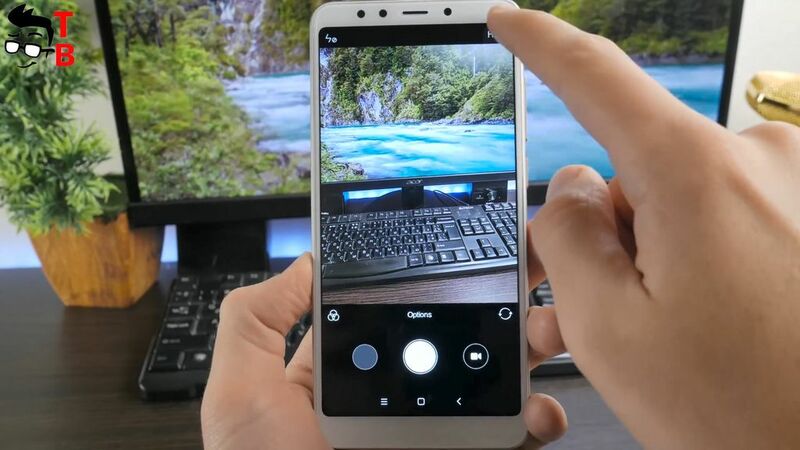 Redmi 5 has only HD resolution, however this is enough for budget phone. I should say that Redmi 5 Plus has Full HD display. The front panel is curved, thanks to 2.5D glass on top. I cannot find information about version of Corning Gorilla Glass, but there is protective glass. As I already said, new smartphone comes with on-screen buttons, because there is no room for backlit keys and home button under the display. Now let’s turn on the smartphone. 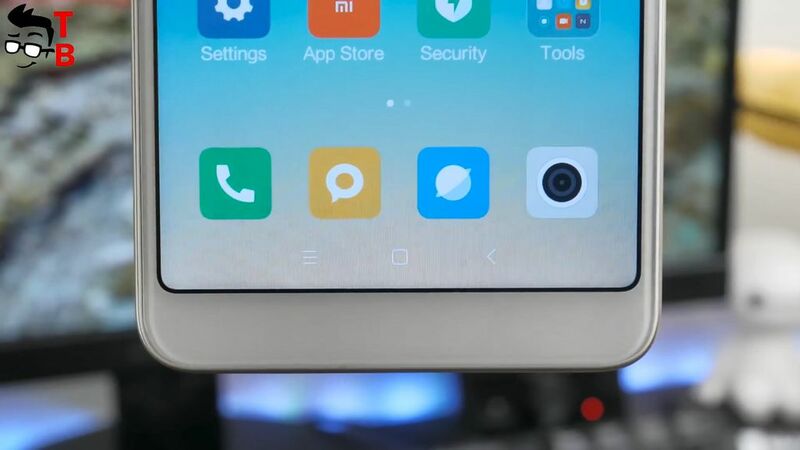 The first thing we see is the logo of new version MIUI 9. 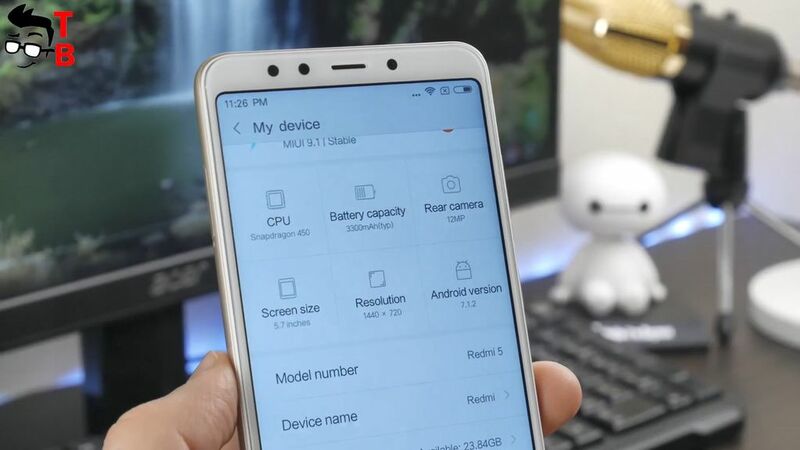 Redmi 5 runs on Android 7.1.2 Nougat with MIUI 9 on top. 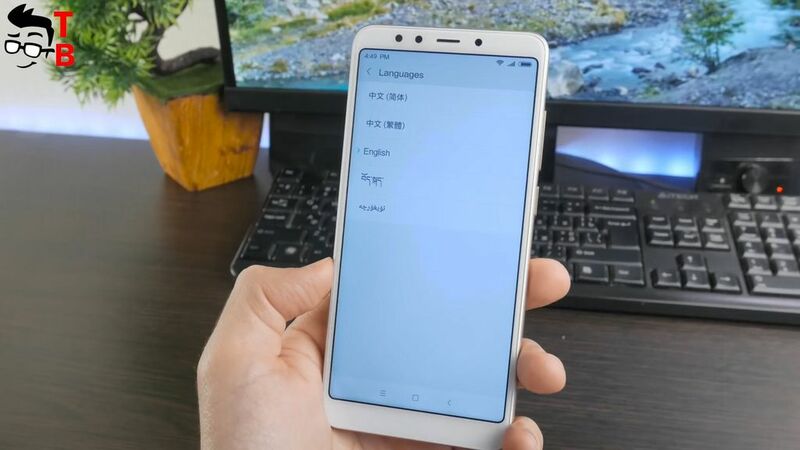 I have a Chinese version of smartphone, so there is not so much languages. Fortunately, I can choose English. My smartphone doesn’t have Play Store and other Google Services. You need to install them for yourself. I already did this. 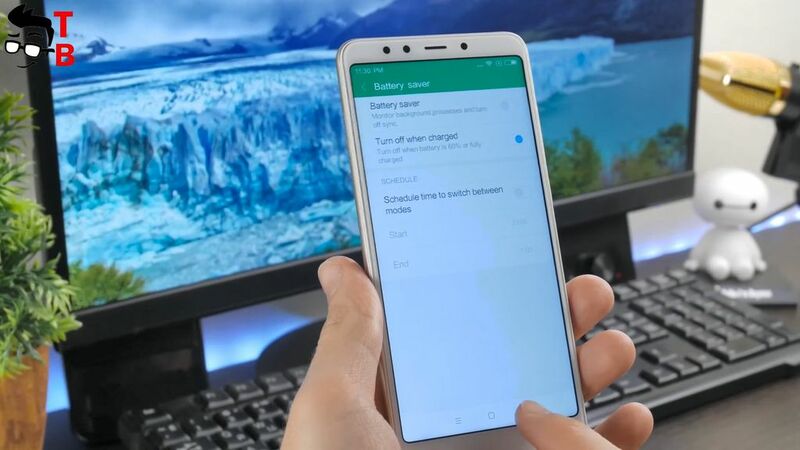 Later I will publish video how to install Google Play Store on Redmi 5. The user interface works fast and smooth. I don’t notice any lags and problems. 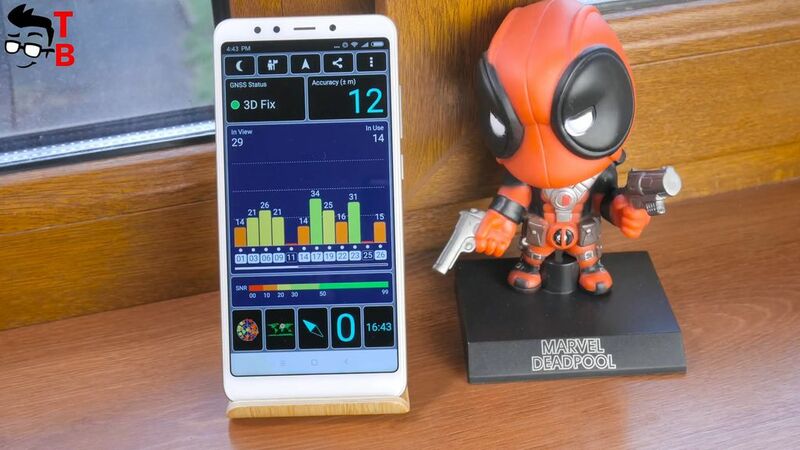 MIUI 9 provides some new features, but I do not want to go into details, because it takes a lot of time. 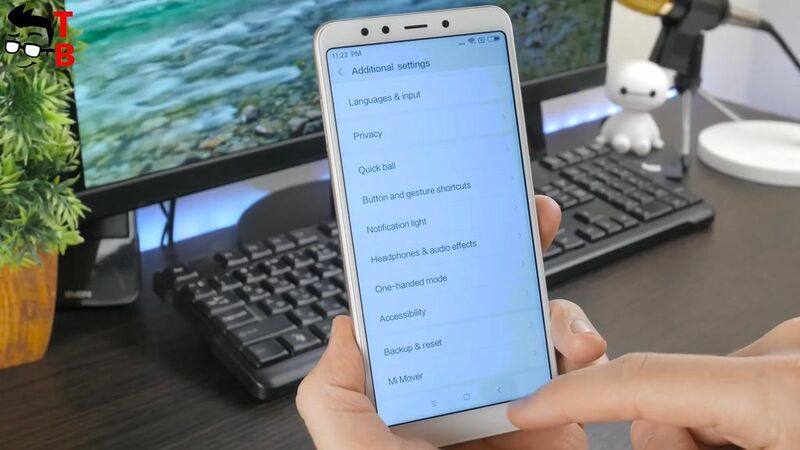 If you are interested in new functions of MIUI 9, please write in comments below. I will make a special video about that. 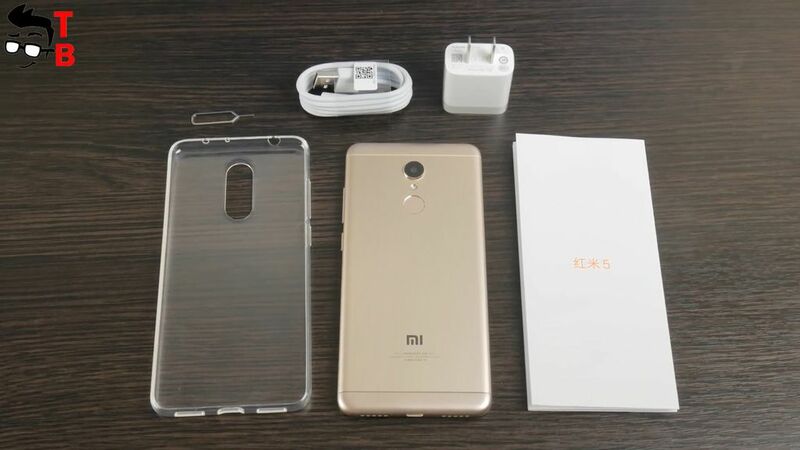 As for the hardware, Xiaomi Redmi 5 is really budget phone. 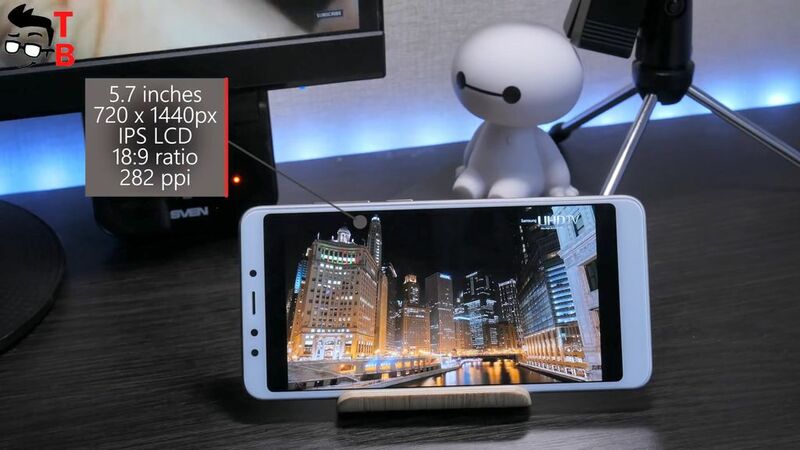 It is powered by Snapdragon 450 octa core chipset with clock speed 1.8 GHz. This is the latest and best entry-level processor built on 14nm technology. Also there is 3GB of RAM and 32GB of internal memory. You can use microSD memory cards up to 128GB. Later I will make detailed performance test with gaming, but right now I want to show you some benchmarks. 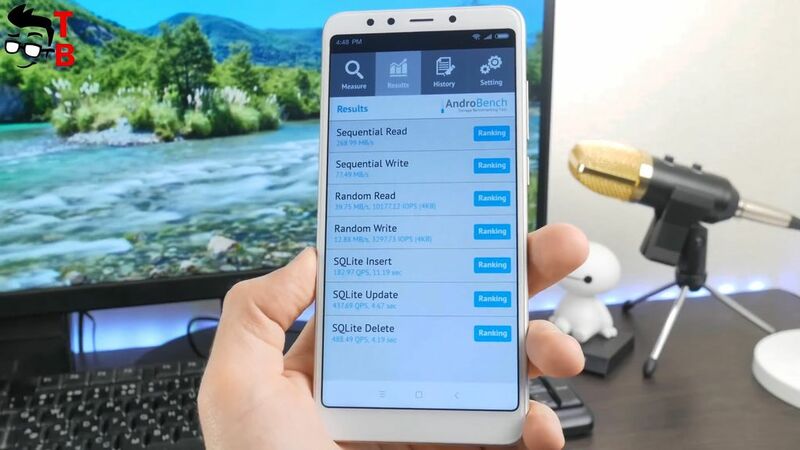 Redmi 5 has about 55300 points in AnTuTu. As for GeekBench 4, here we can see 761 points in single core test and 3484 points in multi-core test. 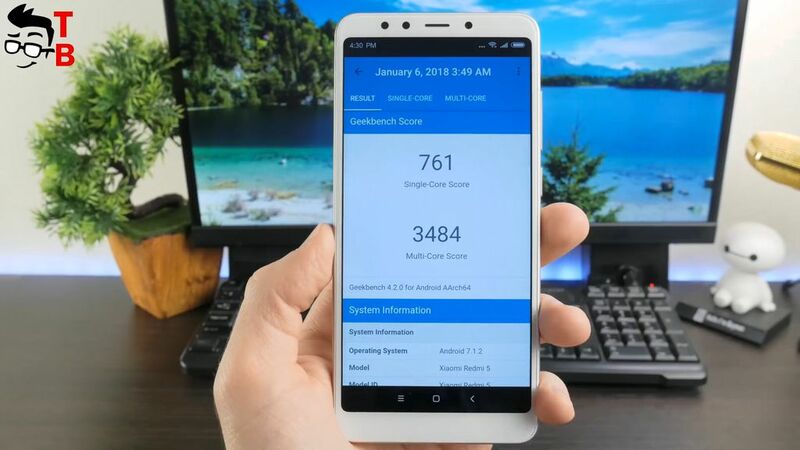 I should say that this is great result for budget smartphone with price tag $150. GPS works fine. It has a quick start, but accuracy is not the highest – about 11 meters. Speed Test shows about 42 MBits download speed, and 52 MBits upload speed. I have 100 Mbit internet connection. Also I want to know internal memory speed. AndroBench helps me with this. 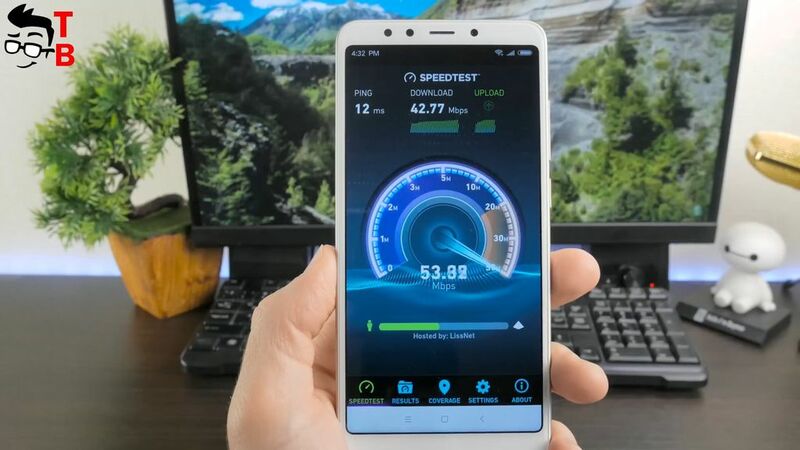 As you can see, Redmi 5 has 268 МB/s of read speed and 77 MB/s of write speed. It is pretty good result. I already played some games, and I don’t notice any problems. 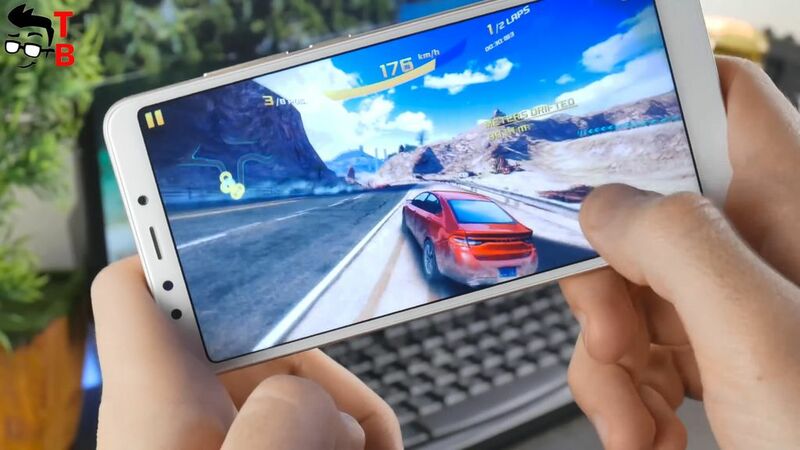 Asphalt 8 runs smooth and fast. Also, the smartphone doesn’t heat at all after 15 minutes of gaming. 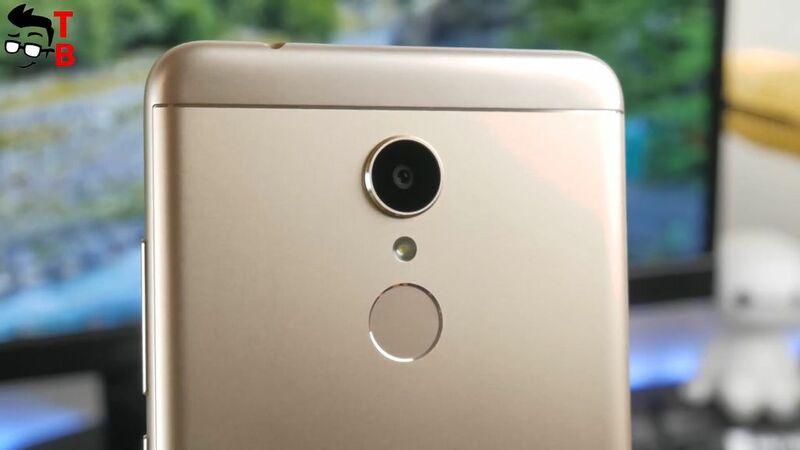 Redmi 5 has 12MP rear camera and 5MP front camera. Yes, it does not sound very impressive, but I should note that even budget Xiaomi smartphones make better photos than some Chinese midrange devices. The main camera has 12MP sensor with 1.25 micron pixels, f/2.2 aperture, PDAF and LED flash. The front camera has 5MP sensor and LED flash. At the moment I cannot tell you something about image quality, because I haven’t make photos yet. Later I will publish video with detailed camera test. You can find it in description under this video. 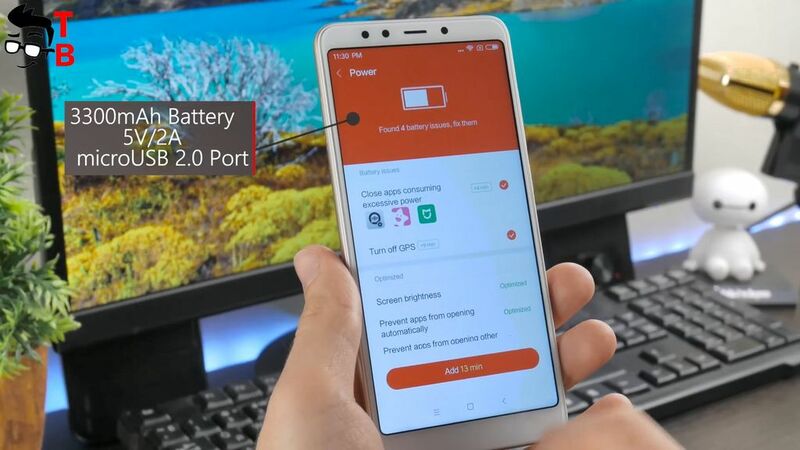 New smartphone from Xiaomi is equipped with 3300mAh battery. As you may remember, Redmi 4 had 4100mAh battery. 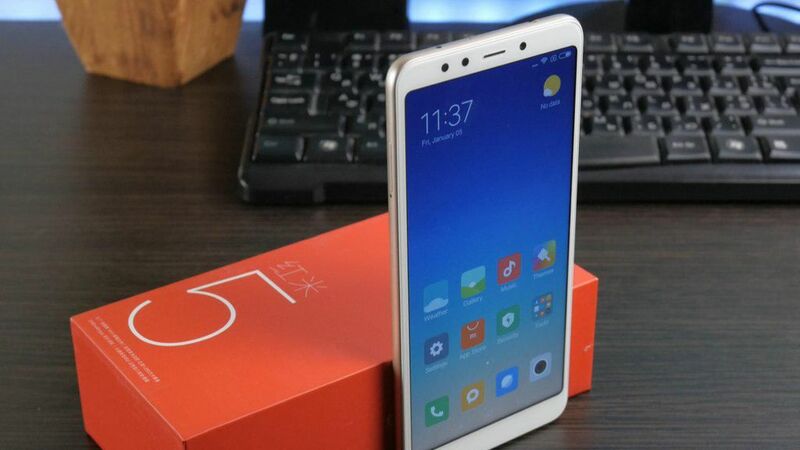 It is strange, because Redmi 5 is bigger, so it should have bigger battery, but this is not so. I expect about one day of battery life on a single charge. 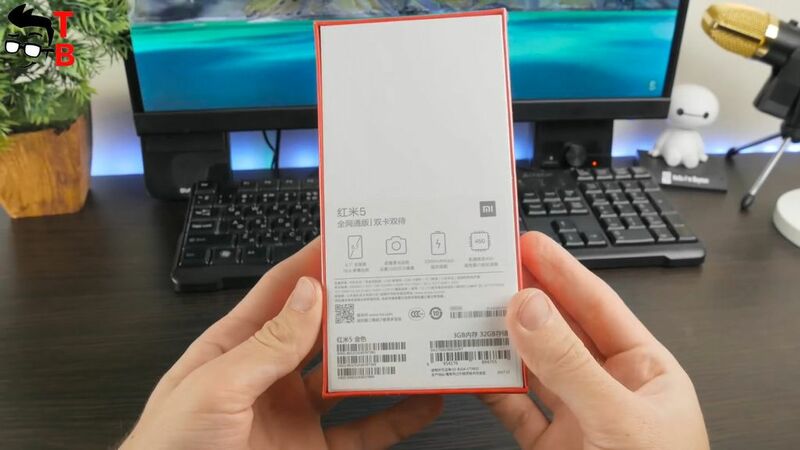 It seems that smartphone supports fast charging, but there is no fast power adapter inside the box. So, the full charging time takes about two hours. Later I will make another video with battery test of Redmi 5. 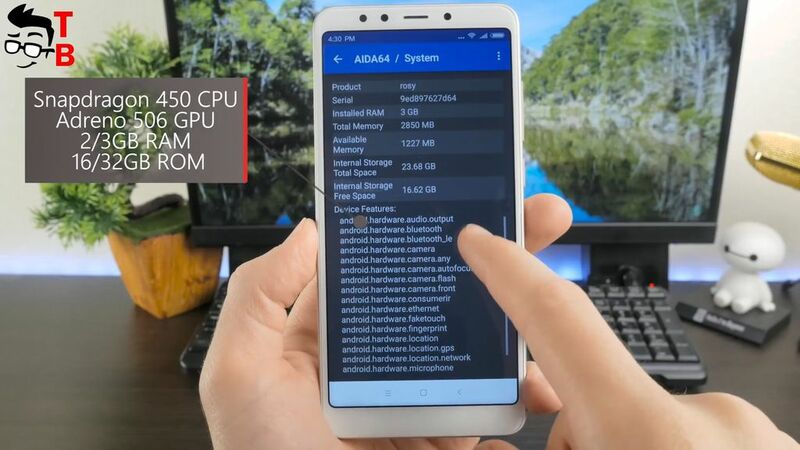 So, what can I say about Redmi 5? 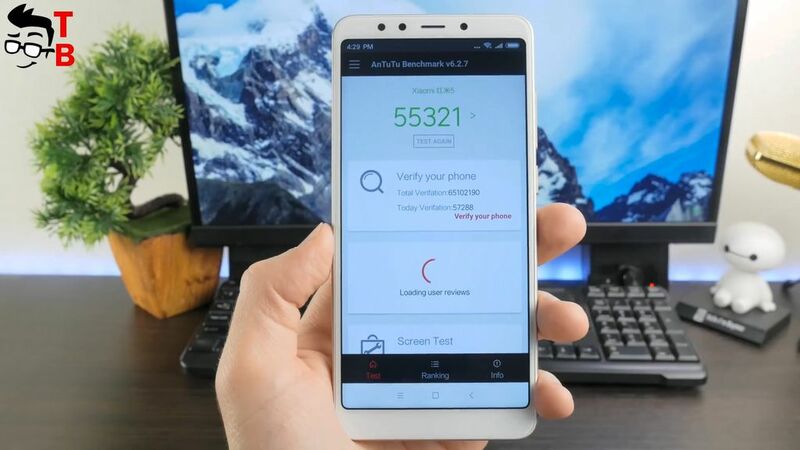 Should you buy new smartphone if you already have Redmi Note 4X? I think that you should. First of all, Redmi 5 has beautiful full screen design. 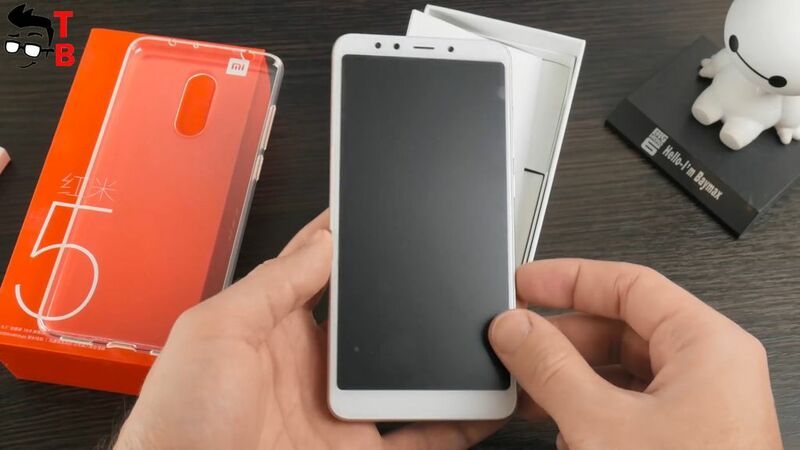 Although it is not as bezel-less as I would like, but it still looks better than previous smartphones from Xiaomi. Also Redmi 5 has good hardware. 55000 points in AnTuTu is pretty good result for budget phone. Also I don’t have any problems with GPS, Wi-Fi, and others. 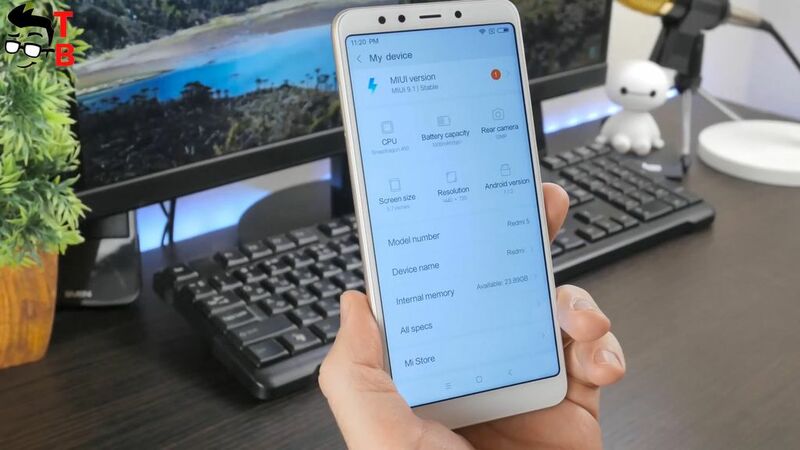 New smartphone has latest MIUI 9 user interface, and manufacturer promises update to Android 8.0 Oreo in the near future. I have to do battery and camera tests, but it seems that they are good for budget phone.